We used classic neutrals to really make the Eerily Elegant panel pop. 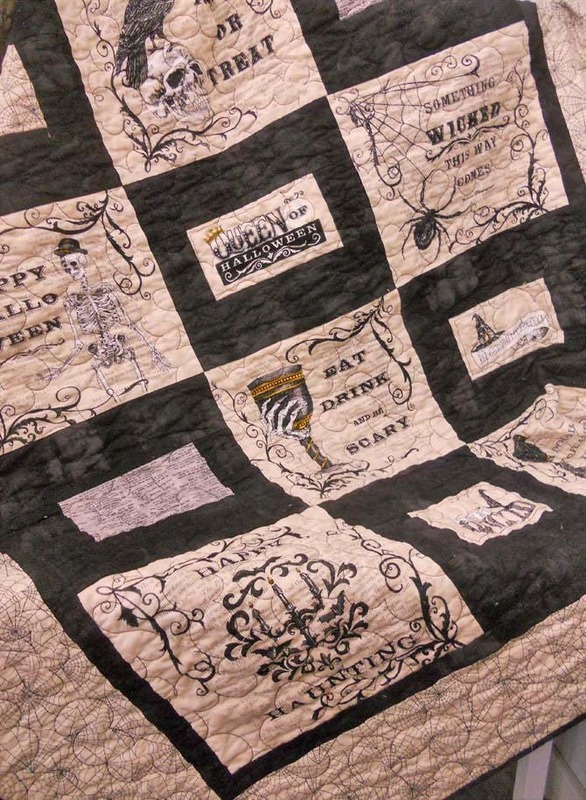 This throw quilt measures just 50 x 58 inches making it perfect for the back of the couch, the porch swing, or a simple Halloween vignette. This listing is for the PDF pattern Halloween in the Country.